Today, in a world where African Americans are no longer enslaved, it has become increasingly important to preserve a history that is being rapidly erased, rewritten, and forgotten. African American artwork has become the perfect vessel in which to store the tales of our past and a great medium for storytelling today. 4HUNDRED offers an inside look at the pain, perseverance, and unique perspectives of Africans and African Americans throughout the last 400 years and showcases the importance of black art as a way to communicate the personal and political weight of being black in America. The holidays are coming and ZuCot wants to celebrate the end of the year by showcasing a group exhibition featuring new works as well as 2018 favorites by several ZuCot Artists. Carefully selected by ZuCot Manager and Curator, Lauren J. Harris, each of the works of art in this exhibition is sure to make you feel ready for the holidays. Artwork by: Charly Palmer, Charlotte Riley-Webb, Julio Mejia, E. Richard Clark, Basil Watson, Aaron F. Henderson, Steve Prince, Onyeka Ibe, and Jamaal Barber. On September 22nd, 2018, ZuCot Gallery will be opening a new exhibition entitled, AfreauX featuring works by Lavett Ballard, Jamaal Barber, Shanequa Gay, Sean Haynes, Lobyn Hamilton, Horace Imhotep, and Shawn Theodore. The artwork of AfreauX is a rebellious response to the influx of street art and artists emerging from Atlanta and beyond and brings light to several professional artists of stature who’s art is not only “dope” but speaks to the African American narrative and experience. For this exhibition, each artist will present their current body of work without being held to a particular subject matter. Artists are influenced by different aspects of their lives and atmosphere, and the artwork of this exhibition will embody their current headspace. The word “vibes” is ambiance in French and is defined as the character or feeling of a space. 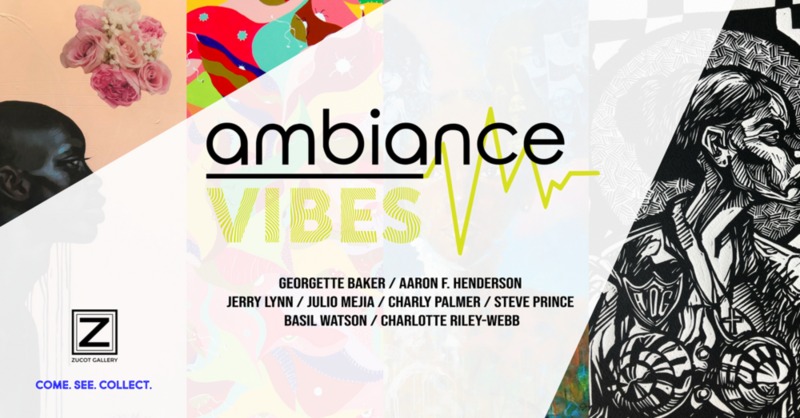 The artwork will create the ambiance of ZuCot for the summer and shine a light on how artists can produce individual bodies of work while being on different vibes and coexisting in one space. What does freedom mean in a world that always simultaneously seeks to control you, while it also disposes of you? How do we, as Black women [and artists], reclaim our freed selves? What does that reclamation mean, and how does that look? This show explores the tension of Black women’s complicated existence in a social and political landscape that renders them “the mules of the world”; and how Black women’s reclamation of freedom and vulnerability offers a counterpoint to the status of mule and renders their humanity complete and whole. O' Freedom, My Beloved offers a glimpse of what it looks like for Black women to reclaim their time, their bodies, and their humanity and wholeness from the ravages of political and social oppression, not for others, but for ourselves. This exhibition demonstrates our ability to turn our pain into power through the unapologetic assertion of our joy, determination, and above all else – our right to exist as beautifully multifaceted humans in a world increasingly connected through social media. For many years, artists have used their talents to capture political, social, and historical aspects of the culture of Black people. Through social media movements such as, #blackgirlmagic, #melaninpoppin, #blacklove, #blackboyjoy, and #blackowned, Black people have ignited a revolution of self-love and worth. 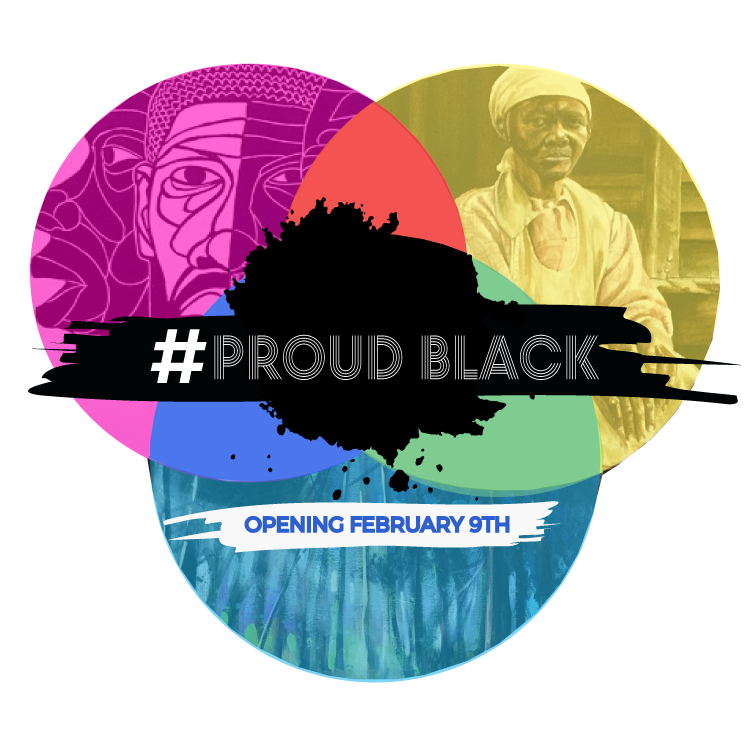 #PROUDBLACK pays homage to the history of Black people in America and to current social media movements focused on creating, proliferating, and uplifting self-affirming images of Black people, for Black. As humans, we come in all shapes, sizes, and colors. Our figure has made its mark through the ages in a variety of art forms. Our human bodies are made up of the same components, but artists throughout the centuries have used their deft creative skills to capture, reveal, and at times manipulate the various shapes the bodily form possesses. In society, the differences in our forms have created social separations, but figurative art challenges us to see who we are as one human race. Can the art of our bodies help us understand we are actually all the same?